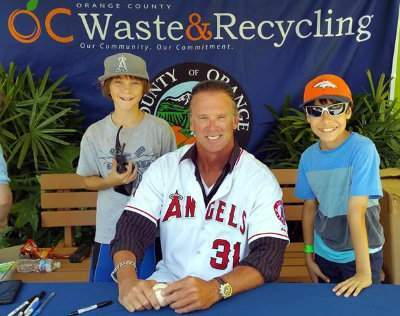 Santa Ana, Calif., August 26, 2015 – Discovery Cube Orange County and OC Waste & Recycling teamed up with Goodwill of Orange County and Angels Baseball for the final Eco Challenge Day collection event of the year on Saturday, August 22, 2015 at Discovery Cube Orange County in Santa Ana. An estimated 2200 lbs. were collected from the event. Past events have collected over 10 tons of e-waste and gently-used clothing. This year there free certified paper shredding was available, in addition to disposal services for e-waste, gently used clothing, and household goods.